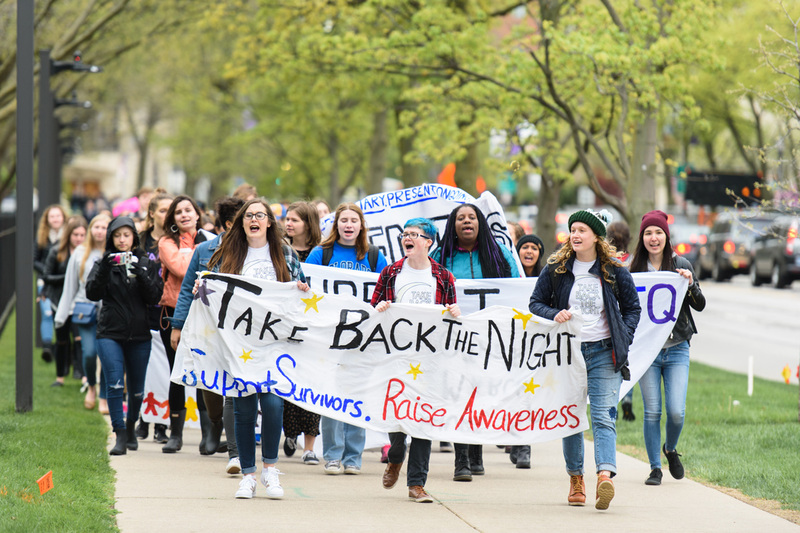 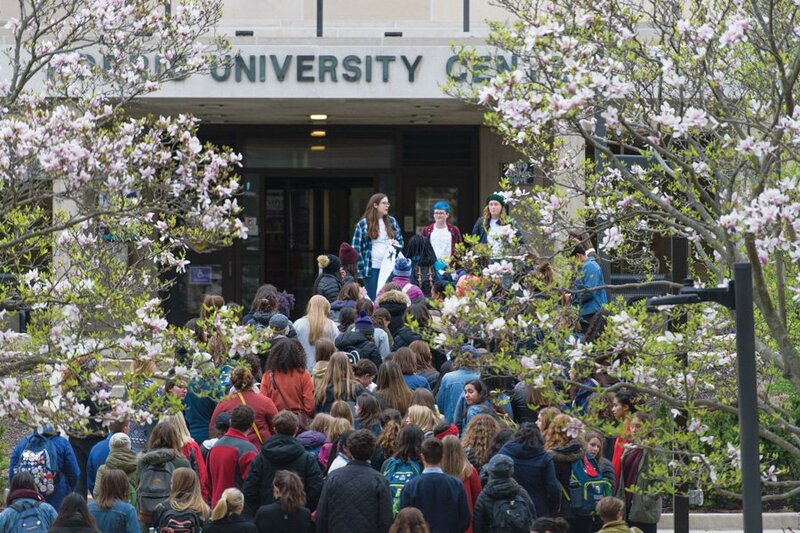 The march is the centerpiece of Take Back the Night, a week-long program of events sponsored by Northwestern’s College Feminists that aims to raise awareness and educate the campus community about sexual assault. 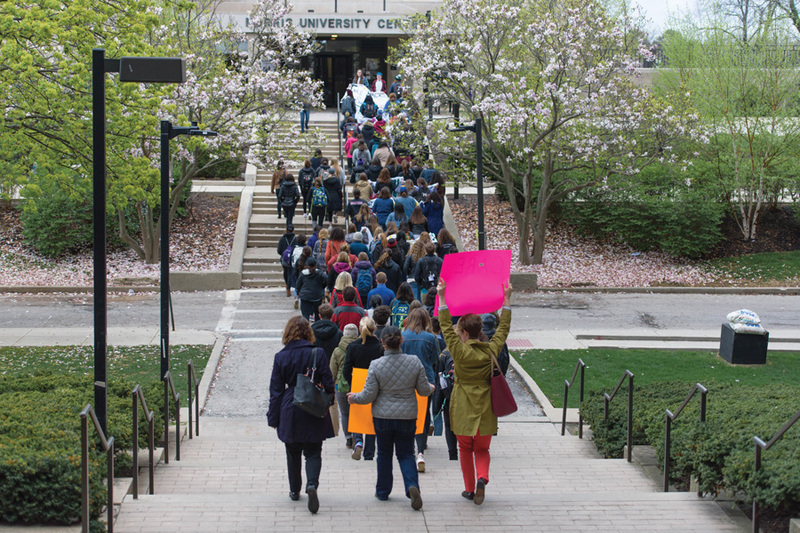 The march focuses on supporting survivors of sexual assault. 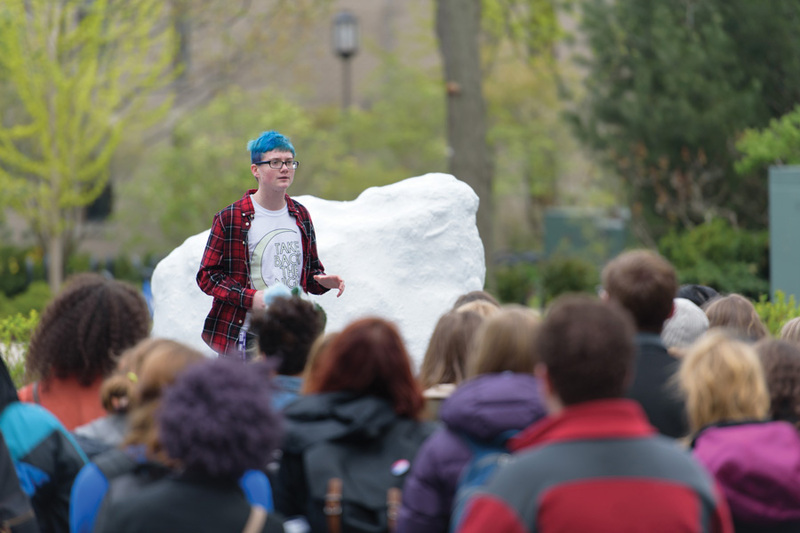 Weinberg freshman Adam Davies gave the keynote speech before the march, sharing his experience with sexual assault and emphasizing the community’s responsibility to be present at survivor-centric events. 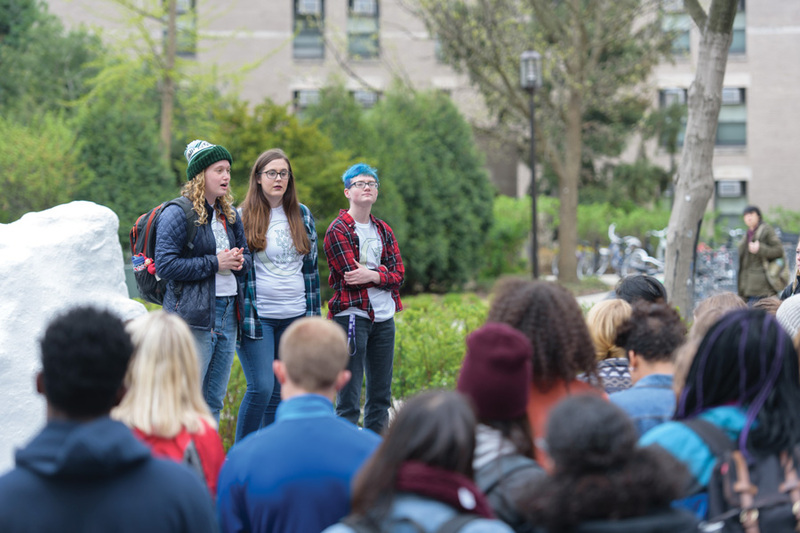 “We have a sexual assault epidemic on campus, and one incident is just the tip of the iceberg,” Davies said, referencing February reports of allegations of druggings and sexual assaults at the Sigma Alpha Epsilon fraternity house and another, unnamed fraternity house. 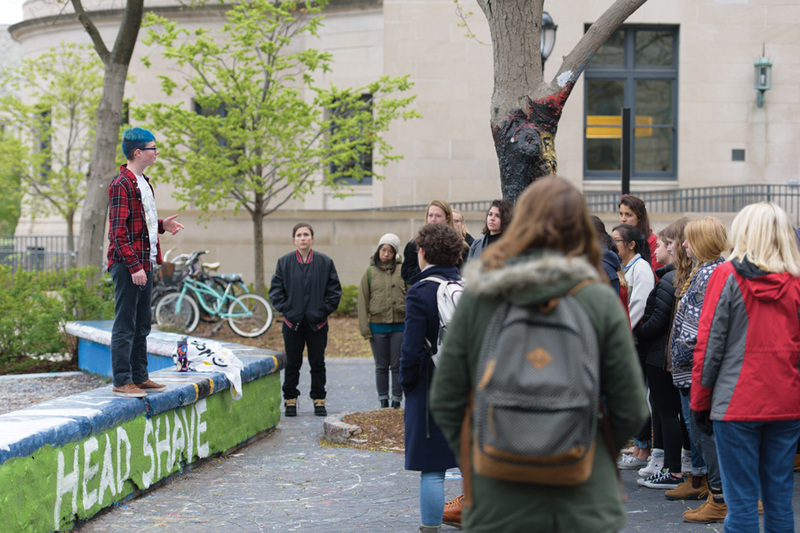 Davies, speaking to the largely female crowd, also said he was surprised and disappointed that more men — specifically fraternity members — were not present at the march. 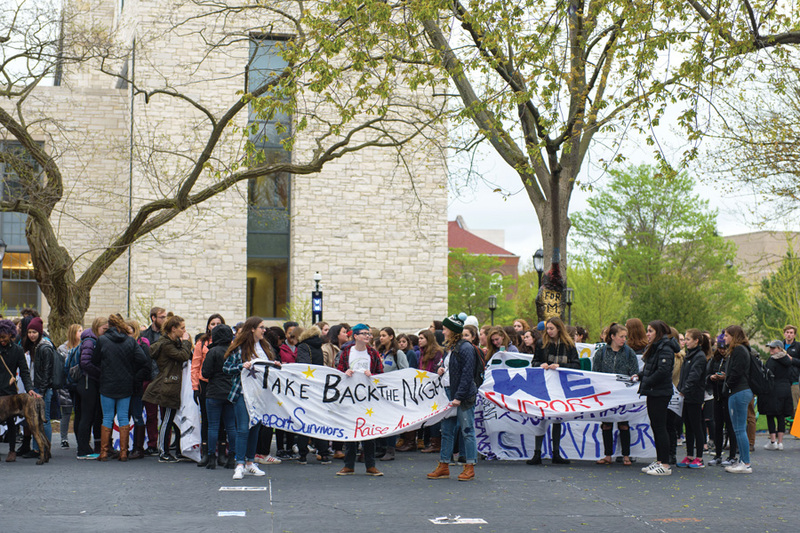 Weinberg freshman Riley Ceperich, who attended the march, said she recently joined College Feminists and is looking to get more involved.